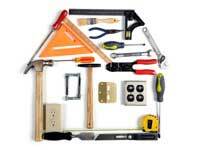 We have professional handyman services North London. Our prices are cheap and reasonable. Our handymen are very experienced and 89% of our customers come from word of mouth. You can contact us now and our expert customer service can provide you with a free quotation. It is a simple and easy proces. We also offer carpentry, tiling, plumbing and heating, painting and decorating, bathroom and kitchen fitting, loft conversions and house extensions. Simply contact us right now on 020 8363 8072.